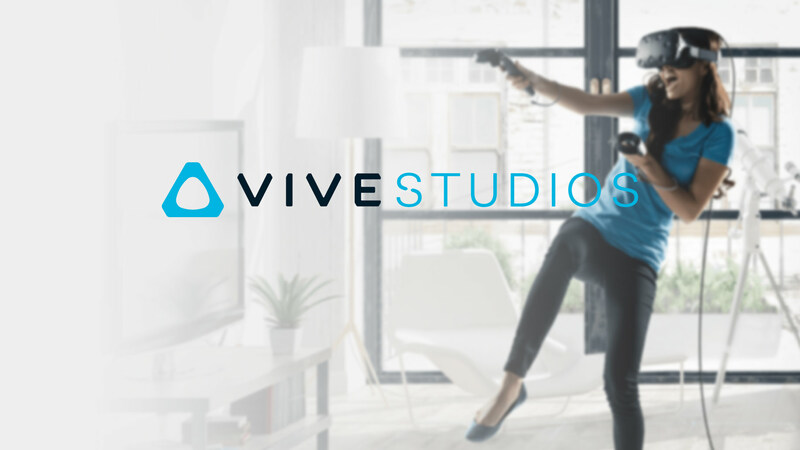 Vive Studios will introduce three brand new entertainment experiences for the HTC Vive this spring for owners of the headset. During the first day of the Games Developer Conference I got the chance to sit down with Joel Breton to discuss the three new products – VR Sports, a collection of room scale enabled mini games. 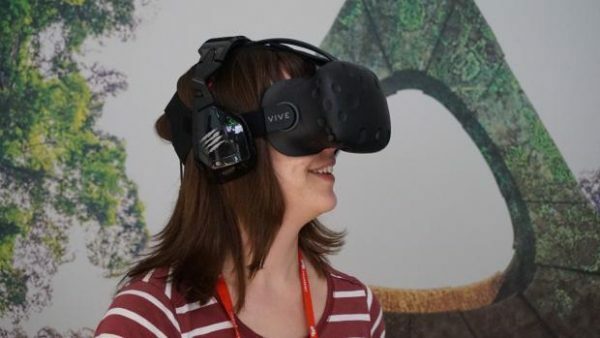 Make VR, a tool that helps bridge the gap between Virtual Reality and the real world by bringing support for 3D printers into the virtual space. Finally, Vive Studios also announced Front Defense, a World War II inspired shooter that uses Valve’s room scale technology. The ten-minute demo of VR Sports and Front Defense that I tried at GDC was my first experience with room scale. Previously I had played Elite Dangerous in VR at E3 2016, set up my own sitting VR experience with motion controllers and played a few demos that used the Xbox 360 controller but this was my first time being able to move freely in the real world while strapped to a VR headset. VR Sports is exactly what the title implies– table tennis using both room scale and the HTC Vive motion controllers. I was able to use one of the Vive wants to position the ball in front of me and smash it with the paddle in my other hand. It took me some time to adjust to the Vive wands and I found myself smashing the ball just a little hard, sending it flying out of bounds. After a few attempts and some coaching from the helpful HTC staff I was finally besting my computer controlled opponent. While the VR Sports demo at GDC17 was limited against an AI opponent the final game will also support online multiplayer against friends who also have HTC vive setups. The second, and last, demo that the Vive team had on display was the tutorial level for Front Defence. In this World War II inspired first person shooter players have to fight off waves of enemy soldiers after learning the ropes against stationary cardboard targets. Front Defense gives provides players with a number of different tools of destruction to defeat their enemies – a standard machine gun is wielded in the right hand and reloading is performed by gripping the ammo clip with the left controller and then grabbing a replacement clip from your belt and inserting it into the gun. Rocket launchers also make use of a similar reloading mechanic where I had to reach down and grab a new projectile from an armored case on the ground and then insert it into the back of the rocket launcher. All of these movements added to the immersion and realism that you just don’t get when playing with a standard controller. 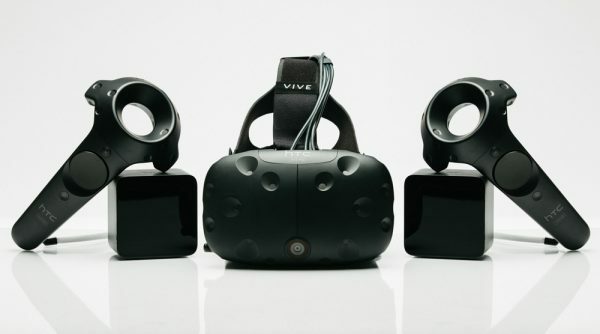 It did take me some time to adjust to the idea of moving around a virtual space when using the HTC Vive but this is not a limitation of the platform and more getting used to not having to control my movements with an unnatural input device.